Considering the huge area making up the Balkans it is surprising how few breeds of dog have emerged, with those surviving changes in farming and hunting resembling the corresponding breeds of Western Europe quite distinctly. 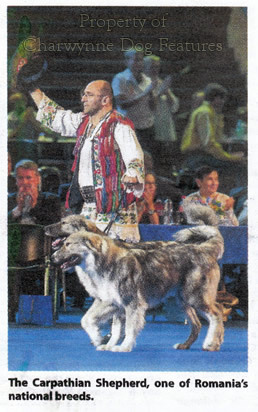 The Balkan scenthounds and flock guarding dogs could be mistaken for similar breeds in neighbouring countries. But it's important to identify the Balkan countries, so that the terrain can be studied - and its predictable effect on the types of dog needed to support man there. The Balkans (Turkish for 'mountains') comprises a mountainous peninsula, stretching from the Adriatic Sea in the west, and the Ionian Sea in the south-west, to the Black Sea in the east and the Aegean Sea in the south-east, with the Mediterranean Sea as the southern boundary. This area embraces Bulgaria, Roumania, Croatia-Herzegovina, Serbia (Yugoslavia), Macedonia, Greece, Slovenia and a range of religions and identities, from a strong western influence to long Ottoman occupation. The travels of steppe nomads into Europe and the establishment of the Ottoman Empire ensured that such dogs became known further afield, from SE Europe, including the Balkans, to SE Russia and NW to Austria and a part of Hungary. Dog writer Edward Ash records a misadventure with an Albanian flock guarding dog in 1859, dubbing it the 'Albanian king of dogs, who is undoubtedly first cousin to the Turkish one.' 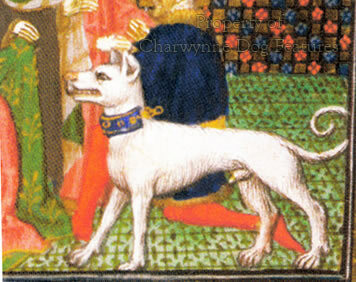 There is a famous depiction in 1420 of an 'Albanian Dog, used to fight 'elephants and lions' being presented to Alexander the Great, with the dog portrayed resembling the Alauntes so well described by De Foix, in his famous Hunting Book around that time. The Albanian Wolfhound was once brought into Western Europe but did not find favour. 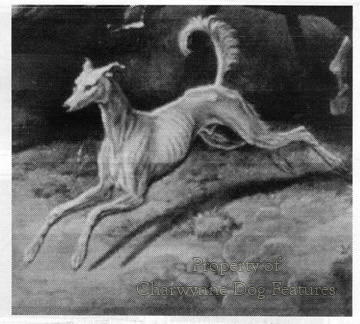 Not surprisingly, such mountainous country did not develop coursing hounds, although Croatia and Greece once featured them. The flock guarding and transhumance dogs, as further north in Slovakia and Poland, were the more numerous types. Function, terrain and the climate all combined to make these dogs of a set type. Of these, the Slovakian Shepherd Dog, or Slovak Kuvac, has resemblances with the Hungarian Kuvasz and Tatra Mountain Dog (of Poland) breeds, being a big, white, heavily-coated and looks at first glance much more like the Maremma of Italy and the Pyrenean Mountain Dog. 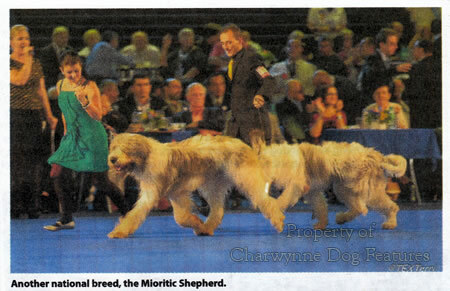 The Tornjak of Croatia is an imposing mainly white dog, now appearing in dog shows outside the Balkan countries. 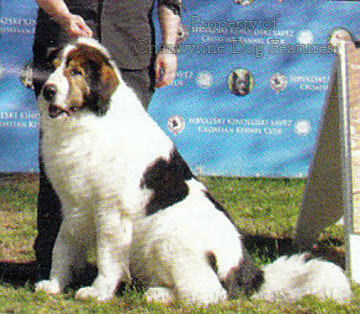 The Karst Shepherd of Slovenia/Istria is more like the Carpathian Shepherd Dog of Roumania, dark-coated and similar to the Caucasian Owtcharka of Russia, with the other Roumanian breed, the Mioritic Shepherd, featuring the white coat of the Hungarian Kuvasz and Bulgaria's Karakachan Dog, all admired for their natural grandeur and imposing presence. In Macedonia, the Illyrian Sheepdog or Sarplanninec (from the mountains of that name) is a long-established pastoral breed, heavily-built with a wolf-grey coat, once the Yugoslav Shepherd Dog, but now claimed for Macedonia and nicknamed the Sar. 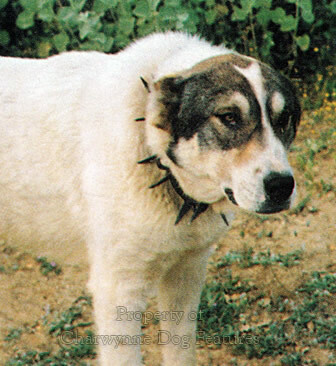 The Greek Sheepdog is mainly white and is often seen wearing a spiked collar to protect its throat from wolf-bites - all these powerful 'shepherds' mastiffs were famed for their protective value. 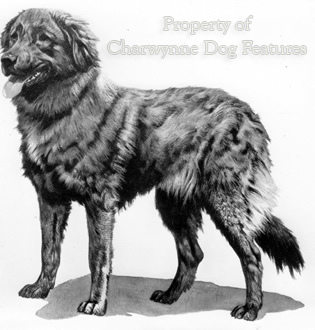 If you lined up a Caucasian Owtcharka, a Carpathian Shepherd, a Karst, a Sarplanninec, a Spanish Mastiff, an Estrela Mountain Dog, an Anatolian Shepherd Dog and a Tibetan Mastiff, in a brindle or wolf-grey coat, you could soon see how function decided form in such breeds, as well as how very similar in type they are. This, despite the immense distance from the Atlantic in the west to the Caspian Sea in the east. 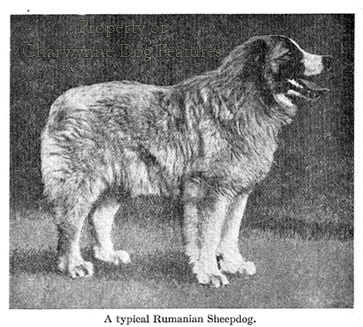 If you lined up parti-coloured specimens of the Rafeiro do Alentejo from Portugal, the Pyrenean Mastiff, the Pyrenean Mountain Dog, the Anatolian Shepherd Dog, the Mioritic Shepherd, the Greek Sheepdog and the Bucovina Shepherd of Roumania, again the similarities would be startling. To do their work as flock guardians, mountain dogs or steppe dogs have to have thick, weatherproof coats, size and substance, great stamina and robustness and a strongly-developed protective instinct. For cattle-driving, there is a corgi-like breed in Croatia, called the Medi, already saved from extinction and now being shown. It is always worth keeping in mind that useful dogs travelled with tribes or migrants across many centuries and across many borders. 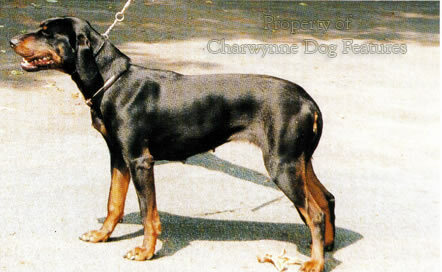 Looking at the scenthound breeds you can soon detect a similar fashion of function dictating form. 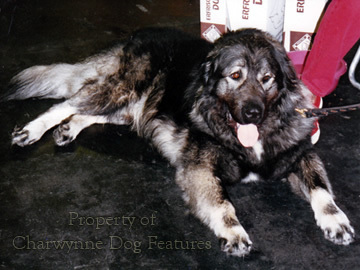 The Balkan breeds: the Istrian (in two coats), the Posevac or Posavski Gonic from Northern Bosnia, the Slovene and the Montenegran Mountain Hounds have distinct similarities too, with the Greek Hound having a comparable appearance. 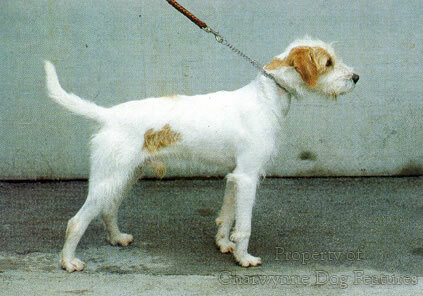 The break-up of the former Yugoslavia has led to each emergent nation renewing its interest in the native hound breeds long established there, with the Yugoslavian Mountain Hound providing yet another variety. 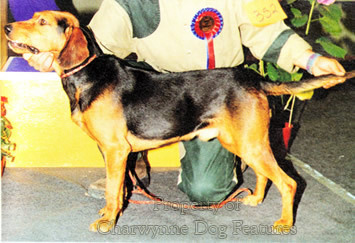 It was an Istrian Hound from Slovenia that came first in the solo trial at the 1998 Coupe d’Europe des Chiens Courants’ hunting trial, staged by the FCI’s Hunting Commission, held south of Vienna, with 5 of the top 10 hounds coming from Slovenia and Croatia, no mean feat. 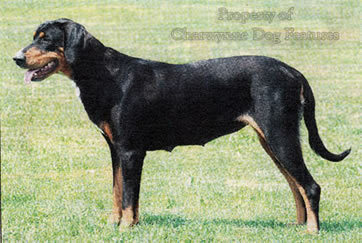 At World Dog Shows I see distinct similarities between the Scandinavian hounds, especially the black and tan ones, like the Finnish Hound and the Swedish stovare breeds and these almost unknown Balkan breeds. 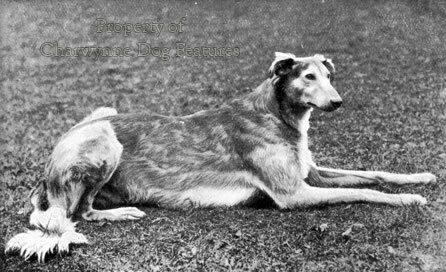 Coursing breeds further north like Poland's Chart Polski, Hungary's Magyar Agar, have survived but the now obsolete Bosnian Sighthound and the Greek Greyhound (perhaps developed from the Ottoman's Sloughi-types) do not prosper, although the Cretan Hound, with influences from other Mediterranean podengo-breeds, like the Pharaoh Hound and the Cirneco dell'Etna, is popular with hunters. Dalmatia is of course in the Balkans, but I have not included the Dalmatian breed of dog here. I do not find its claimed link with the country of that name at all convincing. 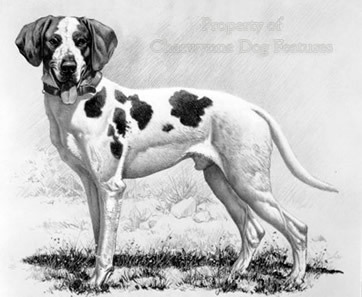 Yet just about every book covering or referring to breeds of dog links the origin of the Dalmatian with Dalmatia. 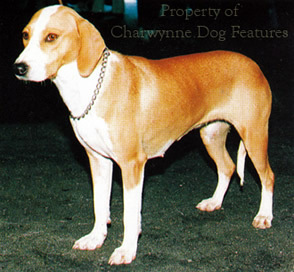 My own theory, which I am happy to have challenged, is that this breed name comes not from the country but the medieval Old French expression for a deer-hunting dog: dama-chien. A professor at a school of European languages has given me another view: that the French name for the game of draughts could be involved, i.e. jeu de dames chien, shortened to "dames chiens". Perhaps a French Dalmatian fancier will come up with some enlightening research one day. It will have significance; if they were hounds of the chase then they belong in the hound group, being judged as hounds. They were never claimed in the more distant past by Dalmatia as their breed despite being well-known as spotted stag/deer hounds in Central Europe, as many paintings, even a Meissen vase, demonstrate.